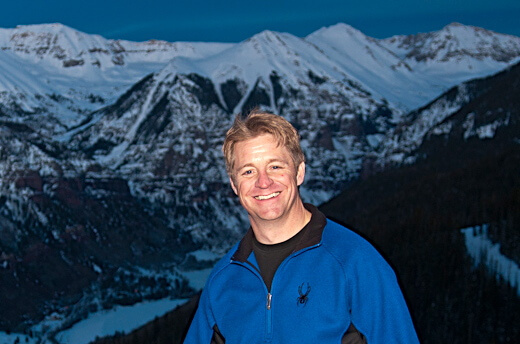 I’m Cameron Powell, founder of Feroce Coaching, Hot Blue Coaching, and several other Internet-based businesses. I’m that rare bird, an expert Internet business coach. I’ll save you time and money while I teach you how to design and build a real Internet business on a budget. I’ve run Internet businesses on a shoestring, with guerrilla marketing and a lot of Internet-savvy. For others, true Internet start-ups, I’ve helped to refine the business models, write the business and fund-raising plans, pitch VCs and angels, and raise millions of dollars in venture and angel capital. In the resulting companies I’ve served as senior executive in strategic business development, general counsel, and enterprise sales, among other areas. I’ve cashed out of some, am still invested in others, watched one crash and burn in 2000, and have learned a great deal about and instructed others on how to pick which horse to bet on. I’m an experienced veteran of the pre-and post-Internet bubble era, but I don’t offer get-rich-quick schemes. I help people identify and build real, viable businesses that happen to be based largely on the Internet (including social media coaching). Strategic planning – okay, you’ve got a business plan. It’s not static, but organic. It changes with changed circumstances. I’ll help you to figure out your high-level direction — help you to work on your business instead of just in it. Pay-per-click (PPC) search engine advertising — I’ll tell you how to make sure you’re not wasting your PPC dollars — learned from hard experience. Exit strategies — do you want to sell your business someday? If you don’t, you don’t have a business so much as a job; if you do, then do you have a strategy for getting out profitably? I can help. eBooks! Get paid to be yourself. Odds are, you know something of value. Hard-copy publishers may not see the business model or be willing to take the risk. Go around them! My companies have themselves used, or advised other businesses on: Internet marketing, advertising, domain name and intellectual property protection, search engine marketing (PPC) and optimization (organic search), Internet affiliate marketing, increasing conversion rates, web usability and design, and much more. I’ve have written extensively on Internet topics and even testified before both houses of Congress on Internet governance and Internet business matters. I coach small and large businesses, management, individual executives, boards of directors, individual entrepreneurs, existing start-up companies, home-based business owners, and small businesses, all of them attempting to build a business from the ground up or ramp up the business they have with a compelling and cost-effective Internet presence. Please fill out this form and one of our great Feroce coaches will be in touch with you shortly.